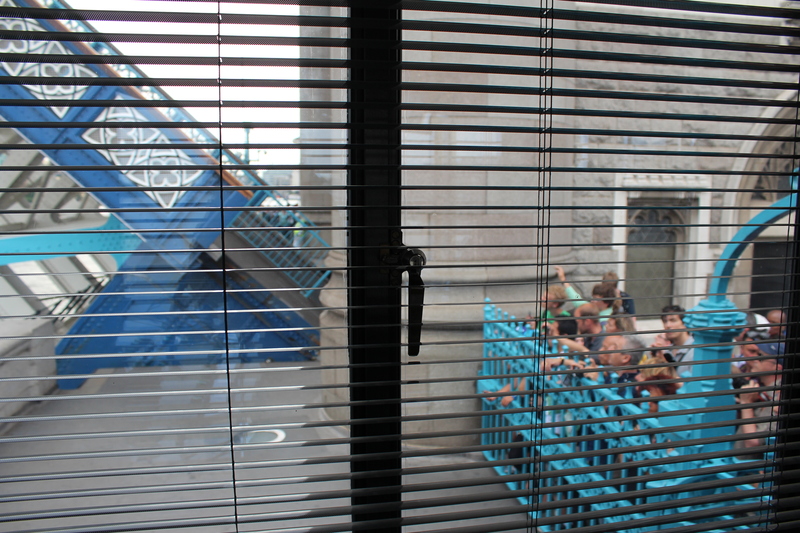 Last weekend I was lucky enough to be asked to ‘open’ Tower Bridge – that is, to perform what is known as a bridge lift. Ian Visits has also written about what a surprisingly exciting experience this is and I thoroughly agree – I was on a real high afterwards. 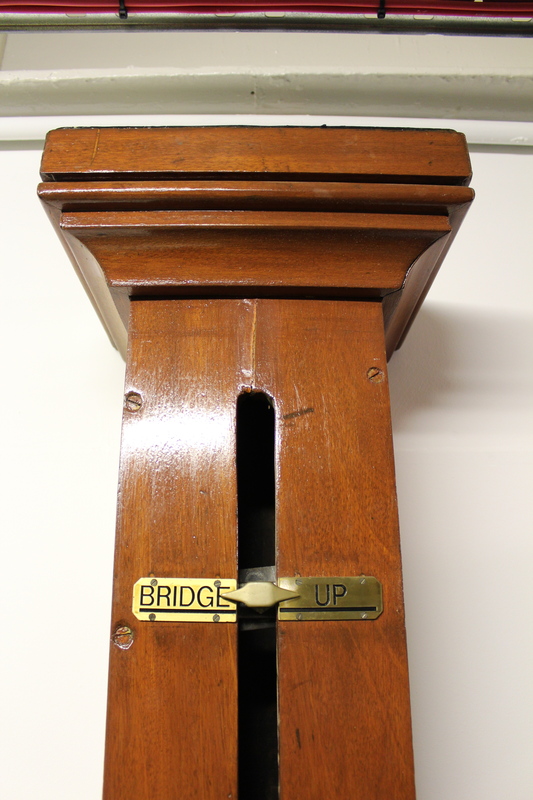 I’d had this idea that opening the bridge would involve pressing only one button, but no, numerous buttons and a lever were involved. 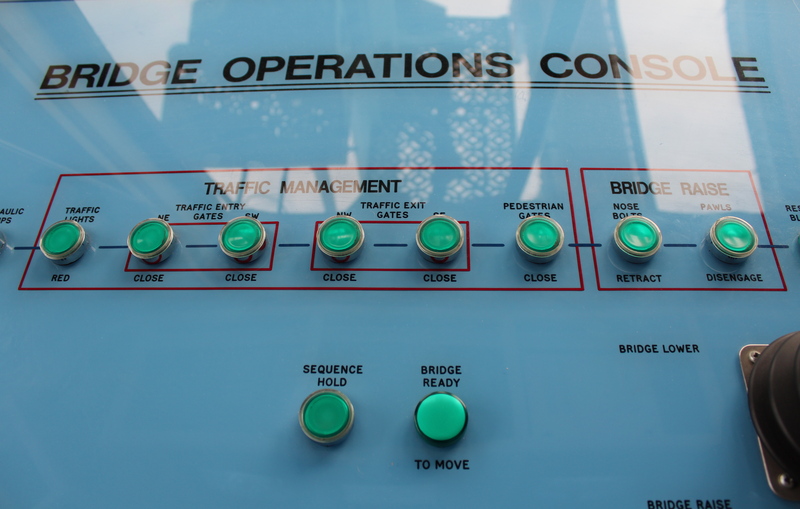 The buttons operate functions such as the traffic lights, the pedestrian gates and generally getting the bridge ready to be opened. The lever is surprisingly small and looks suspiciously like one you might find on a 1980s games console. You actually have to hold this lever down until the bridge fully opens, then hold it up for it to close. Such a small lever with such power! Many thanks to the City of London and Chris Earlie for organising my lift, and Bridge Driver Peter Brown in the cabin for his patient instructions and friendly conversation. Although you may not get a chance to open Tower Bridge yourself, you can always visit Tower Bridge and its incredibly scenic walkways. 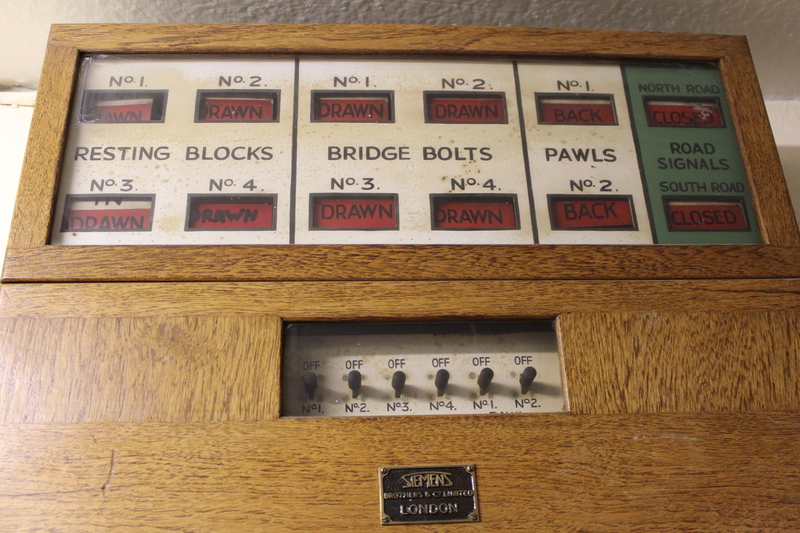 I also highly recommend their Behind-the-Scenes Tour, which normally runs several times a year between October and March, on which you will get to visit an old control cabin and descend into the bascule chambers that lie below the Thames. For the Londonphile’s Christmas special this year I will share with you some photos of our pretty city. These were the result of a super day out for bloggers organised by the good folks at the City of London. 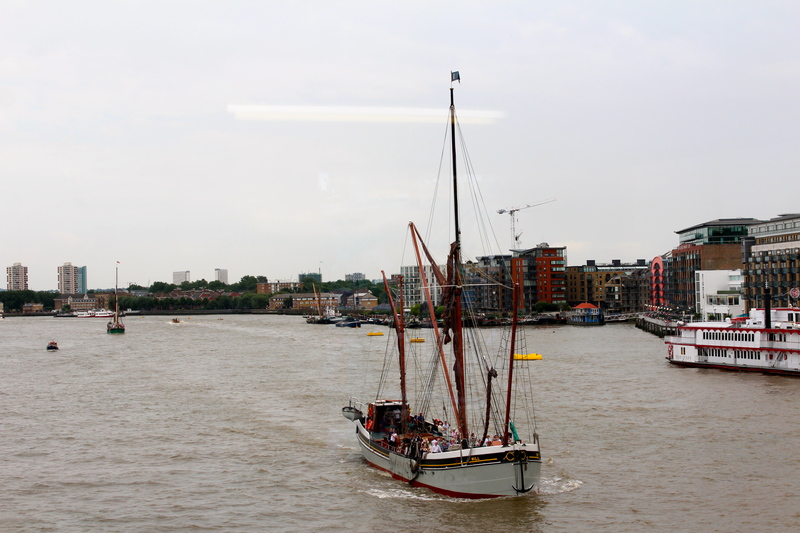 We lucky participants gained access to one of the turrets on Tower Bridge and down into its bascule chambers, and took a trip along the Thames at sunset in a London Port Authority Boat, amongst other treats. 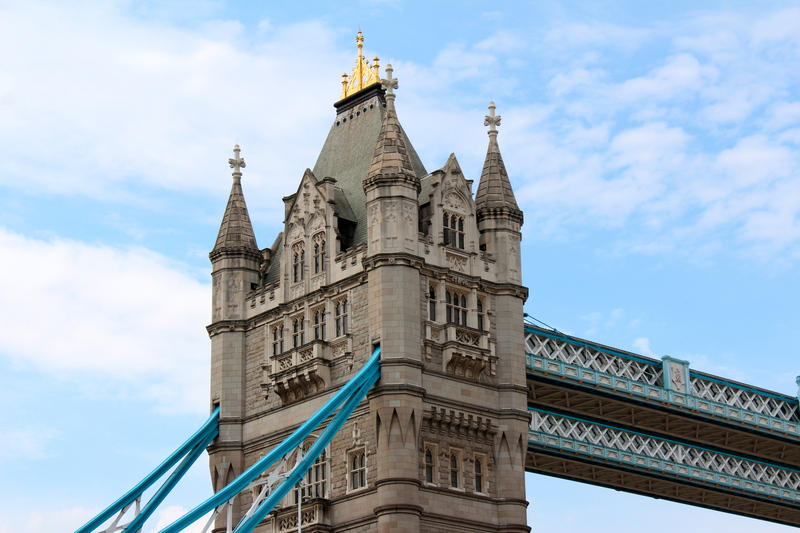 Tower Bridge’s turrets are located just above its walkways – and while the former are not accessible to the public the latter can be visited as part of the Tower Bridge Exhibition. We visited the northern turret, whose narrow ledges are accessed via a number of tiny doors on each side of the small room seen above. While the views are quite literally breathtaking, they are certainly not for the faint-hearted – the only barriers being the turret wall and an iron post in the crenel (the photo below gives you some idea of the set up). Given my former fear of heights these photos are nothing short of miraculous! While the views from Tower Bridge’s walkways are similar, I’d have to say that those from the turrets are superior, especially as they afford more side views from the bridge. However the good news is that your viewing pleasure will be vastly improved in 2014 with the addition of glass flooring in the walkways – something that IanVisits has written about in more detail here. 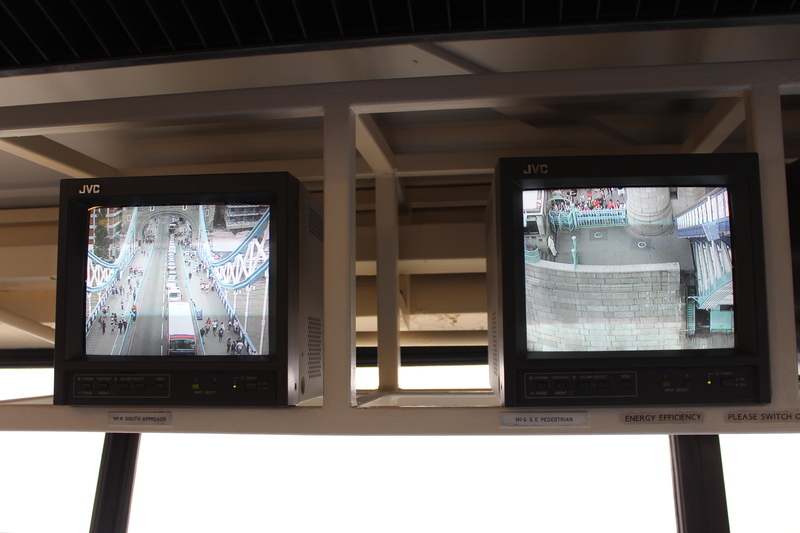 This innovation will enable visitors to look down upon the bridge itself and to view the bridge lifts from above. Those less fond of heights will be relieved to hear that the entire floor will not be made of glass – there will be a narrow strip of glass flooring only, so that people can still walk across a non-transparent surface should they prefer. We were also taken down to visit Tower Bridge’s huge bascule chambers underneath the river bed – where the counterweights that balance the bridge swing down when the bascules are opened. I’ve written about these previously after taking one of the bridge’s excellent Engineering Tours. Tours for early next year are almost fully subscribed so you’ll need to be very quick to get on one of those – otherwise if you can get together a group of at least six people you can book a behind-the-scenes private tour of these subterranean areas for £29 per person. While there is no way for the public to organise outings on a London Port Authority Boat – from which the rest of these photographs were taken – I would highly recommend a trip on the Thames Clippers to those looking for a cheap and easy way to access London’s spectacular river views. The bridges are looking particularly special now at night with the coloured lighting. The clippers have an outside deck area from which you can take photographs, but you may want to avoid peak hour as people do use the service to commute. The Londonphile is on holiday until the second week of January – wishing you all a fabulous festive season! 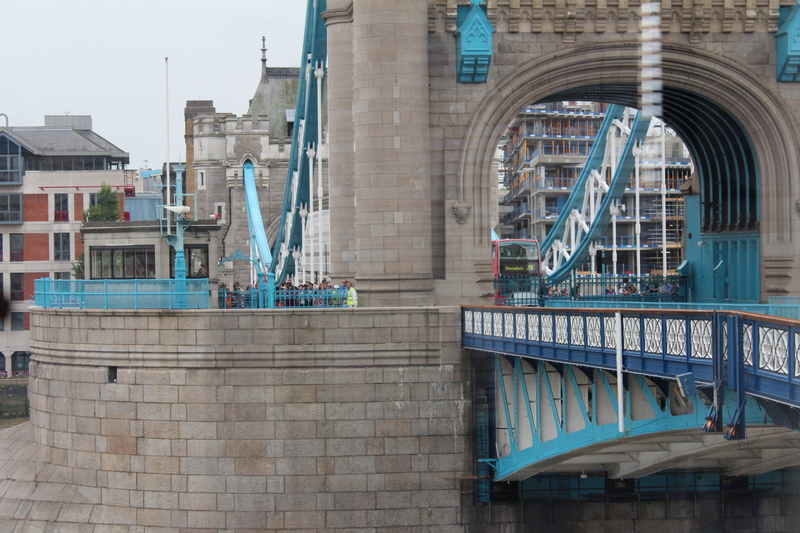 I announced at the start of the year that the Londonphile would be one of the lucky participants on a Tower Bridge behind-the-scenes Engineering Tour. Well just last Sunday was my day to enter the belly of the beast that is London’s prettiest bridge and, as promised, here are some pictures from the big day. Although the tour started and finished like a standard Tower Bridge visit (up on the walkways and down in the engine rooms), we had our own guide and gained access into off-limits areas, where a Senior Technical Officer was subjected to much grilling about the bridge’s mechanics. The old hydraulic machinery - powered by steam. The image at the very top of this post was taken in the first of the off-limits areas we visited: the south east Control Cabin (no longer in use), where the levers for lifting the bridge were once activated. These days it’s all done at the touch of a button. 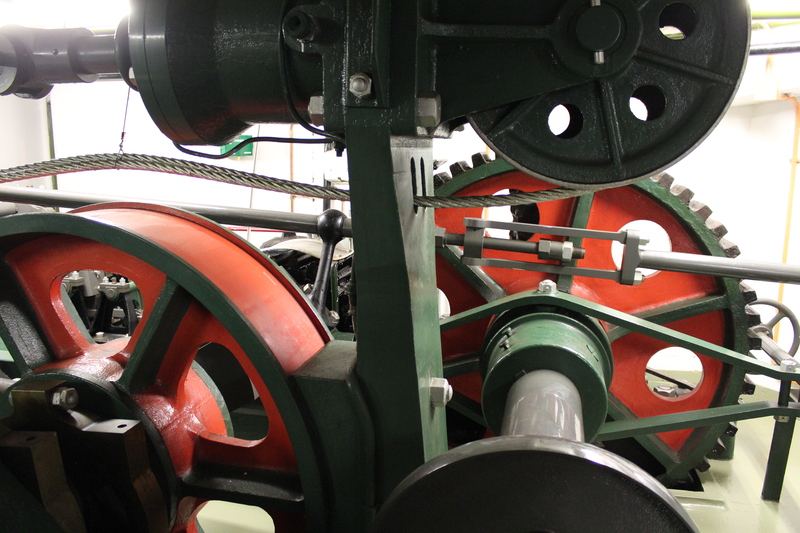 Next stop was the machinery rooms, where the old steam hydraulic machinery (pictured above) sits literally side by side with the modern oil and electric hydraulic machinery now used to lift the bridge. A frighteningly high staircase then took us past one of the accumulators (pictured right), where the steam used to lift the bascules would collect until it was required for use. Next was the highlight of the tour: we visited one of the huge bascule chambers underneath the river bed – where the counterweights that balance the bridge swing down when the bascules are opened. 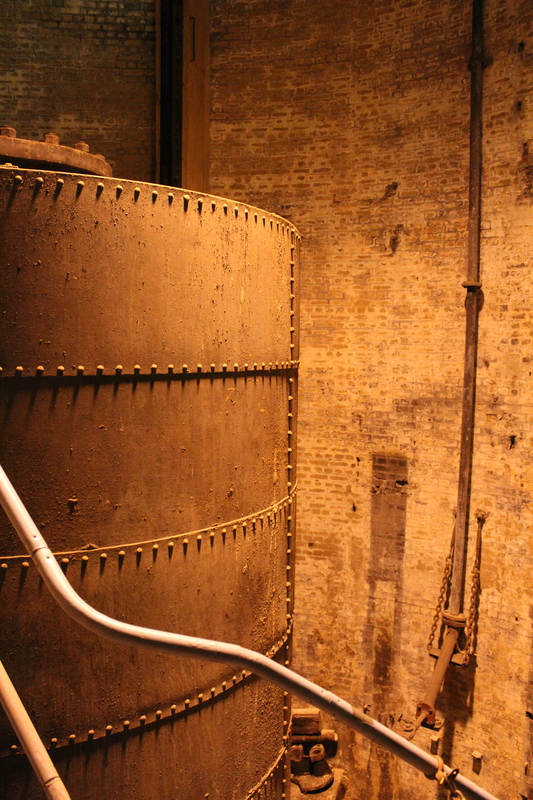 We first viewed it from above through a doorway from the machinery room, before descending into the chamber itself. It is truly massive in size – so large it’s hard to capture it in the one photograph. It’s also a little awe inspiring – truly an amazing feat of Victorian engineering – though not surprisingly also a little cold and damp. 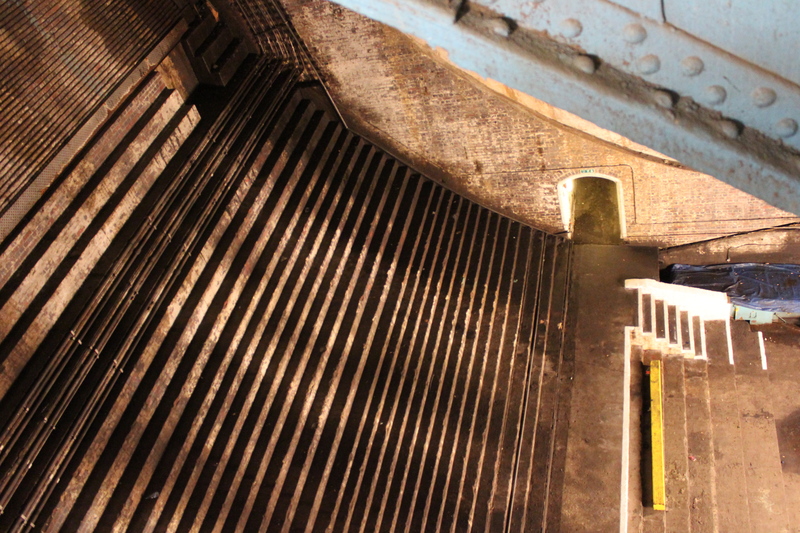 Bascule chamber - viewed from above. 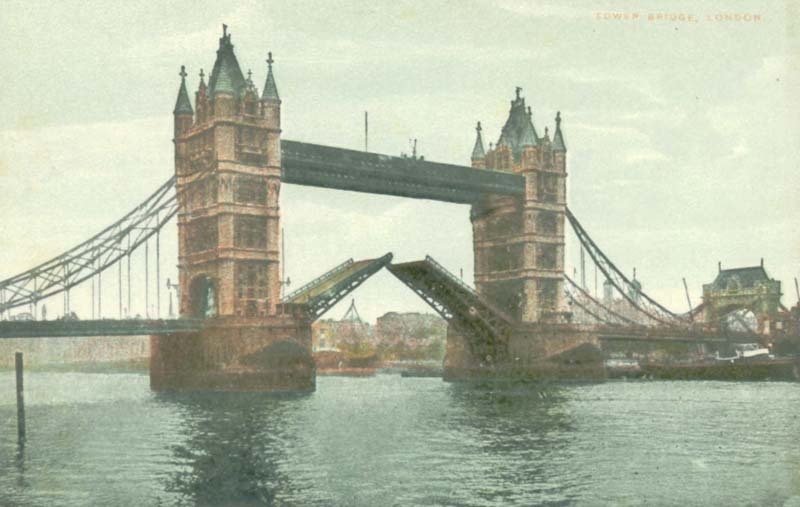 In the year Tower Bridge first opened – 1894 – there were 6,160 bridge lifts. Traffic on the Thames has reduced dramatically since then, and although the promotional material still states that there are around 900 lifts a year, the Senior Technical Officer advised us that more recently that figure is closer to 700. 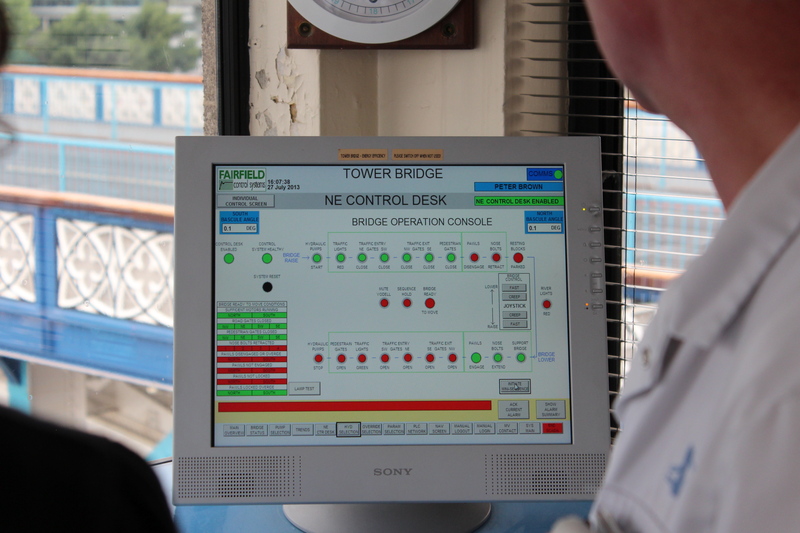 All bridge lifts require 24 hours written notice, and the timetable of when lifts will occur can be found on the Tower Bridge website. The bridge has had a fresh paint job to pretty itself up for this year’s Diamond Jubilee. 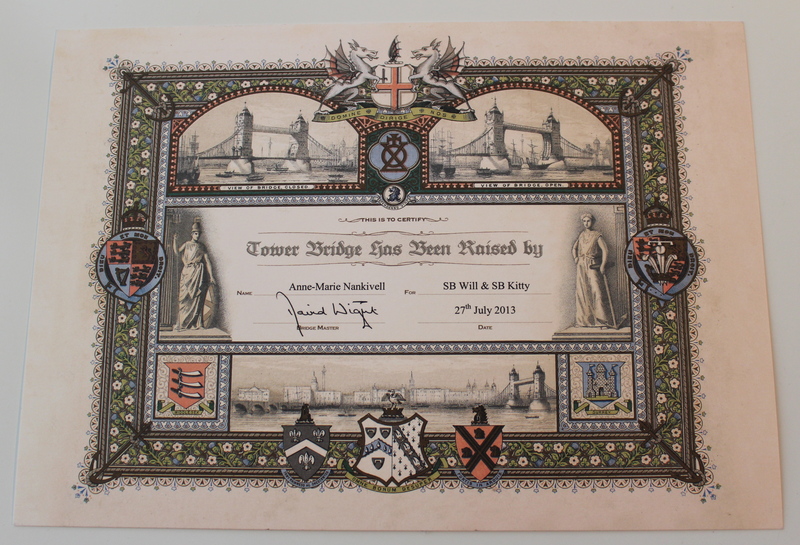 One Tower Bridge fact which you may not be aware of is that its metalwork was originally painted in a chocolate brown colour – and was re-painted red, white and blue to mark the Silver Jubilee back in 1977. You can see examples of the original brown colour – as used on internal metalwork – in the first two photos in the Flickr set. Competition for tickets for the Engineering Tours was fierce – as predicted – and they are now sold out. You can put your name down on a waiting list for any future tours by contacting 020 7407 9191. Alternatively, you can always view the walkways and engine rooms by attending the Tower Bridge Exhibition, which is open daily. 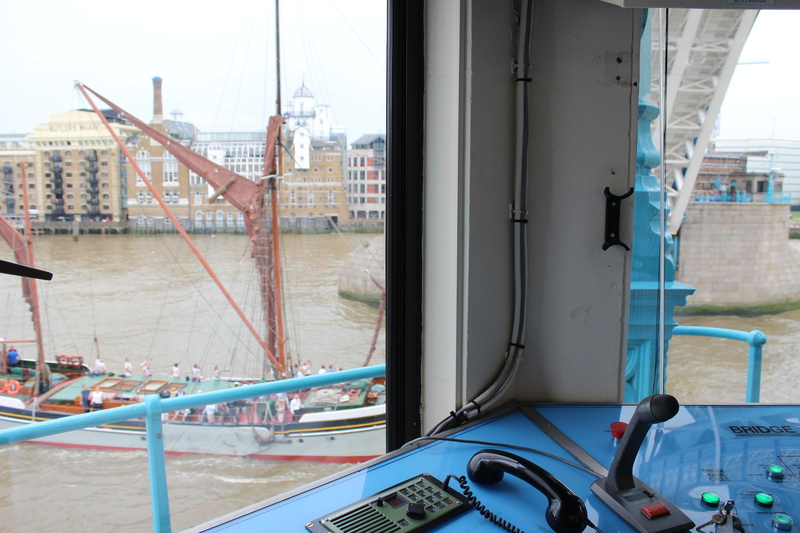 Ever wanted to see behind-the-scenes at Tower Bridge – you know, all those things mere mortals normally never get to see – and learn about how it all works? If so, the new year has rung in a real treat for you, as the good people at the bridge are opening it up for special engineering tours in January and March 2012. 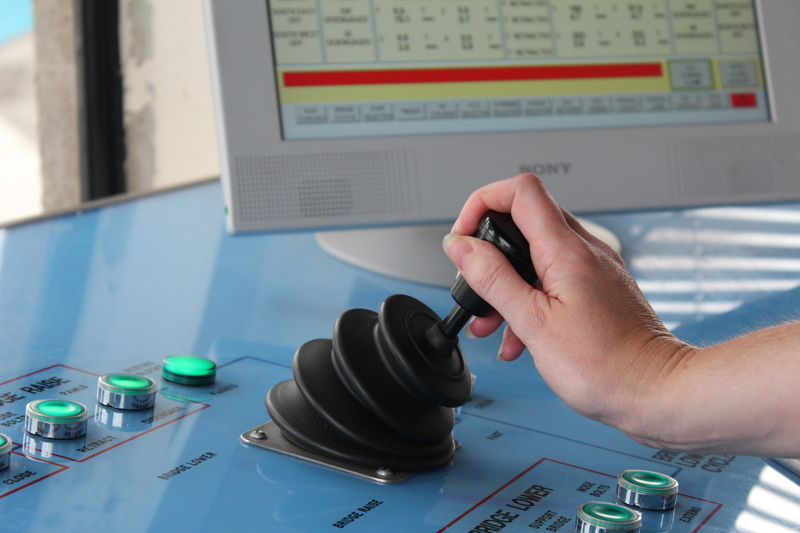 Visitors will be able to see normally restricted areas, such as the bridge control room, the huge bascule chambers underneath the river bed, and the machinery room where the hydraulics that power the lifting of the bridge are found. And one lucky person will win a competition to raise the bridge at a future date (me, please). I’m advised that the January tours have already sold out, so be quick for the March dates, which will run every Saturday and Sunday throughout the month. The tours, which will also include the normally accessible areas of the bridge, last 1.5 hours and cost £30. To arrange you must email enquiries@towerbridge.org.uk, stating your name/s, full contact and address details and preferred dates.